In the past, flight insurance primarily provided coverage for death due to an airline accident, similar to a life insurance policy. With the advent of non-refundable fares and high fees to change a reservation, insurance companies expanded options. Flight insurance covers consumer risks associated with commercial aviation. These may include death due to a plane accident, flight delays or cancellations that may result in financial loss, or a personal circumstance such as illness that may result in loss of a nonrefundable airfare. Policies are often bundled to cover a variety of risks. You may experience a flight delay resulting in a missed cruise or cancel a trip because of the death of a traveling companion or family member. Airlines and tour companies often do not refund air fare for such occurrences. Flight insurance may fill this gap. Flight insurance generally covers only one trip. 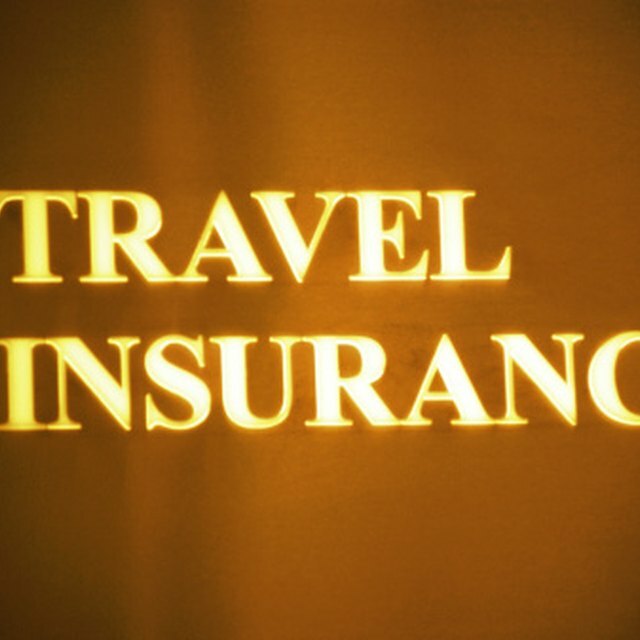 This short-term insurance may be purchased at the airport or via the Internet. What Is Gap Insurance With Nissan? Policy buyers should review each policy thoroughly and understand exclusions. These include terms such as pre-existing medical conditions, sudden jury duty obligations or a terrorism event. For instance, a policy may not cover a cancellation due to a pre-existing condition unless additional coverage is purchased.